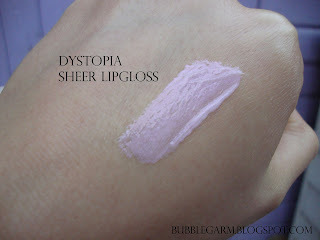 Wow that gloss looks pretty when swatched! Love it. 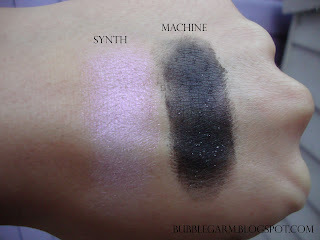 Love the lipgloss swatch and I'm quiet liking the silver liquid metal too! Love that Illamasqua are supporting the Sophie Lancaster foundation too! great swatches! the shadows look really great & pigmented. Wow! They're so pigmented! Even the "sheer" gloss! ooo that gloss is pretty! 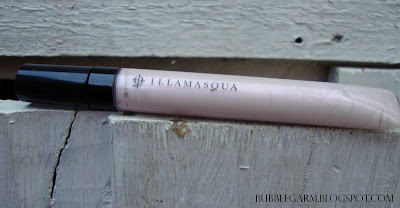 those colors look amazing - I have to try Illamsaqua - I need to look into it asap!! Another brand that tempts me very much! The shadows look amazing! I'm heading to Selfridges asap to check this out. The liquid metal looks to die for. That lipgloss is absolutely lovely as well. I got the liquid metal (not so thrilled as I was with Solctice) and the black pigment, that I 've yet to play with!!! Might make another order soon (my, that lipgloss look so pigmented)!! !